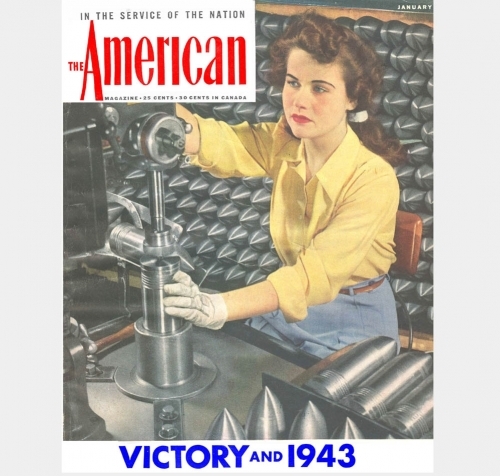 "Dorthy operates a testing machine at Timken Roller Bearing Company in Canton, Ohio. She works the 'graveyard shift", from 10:30 p.m. to 6:30 a.m... At first, the strange hours put her at odds with the world, but now she believes working in war industry has made her a new, more self-reliant person. She has more to spend on clothes and cosmetics than ever before, has more dates and more friends."